I'm happy to announce that Aetheric Games is working with Pixeljam to publish Bonbon on Steam! The latest release (2.1) will come in two versions: a Steam version including overlay and achievements; and a separate DRM free itch.io version. The full list of updates is below. Both versions will release at the same time later in October. This new version will cost $2.95. 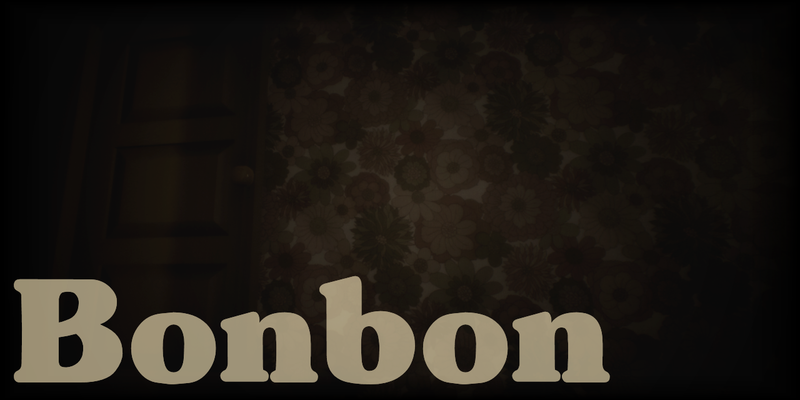 If you already own a version of Bonbon through itch.io, or if you buy version 2.1 here once it's available, remember to claim your free Steam key via your download page. If you need to request a new download link, you can do it here. Here is the full change log for up to version 2.1. - Fixed a problem where the camera could clip through the floor when stumbling with certain held objects. - Properly fixed a bug with cake sometimes not respawning if dropped on floor. - Fixed an exploit that allowed you to not stumble if going forward and strafing at the same time. - Created a Steam version, including Steamworks and achievements. - Tutorials and menus updated to reflect control changes. - You can now use a gamepad on the main menu by default. - Fixed problem with the cigarette smouldering material on low-end systems. - Fixed broken Bonbon "bristling" effect. - Fixed a bug that made carried objects misbehave inside certain trigger areas. - Fixed a bug that could make Bonbon not appear in the lounge if the toys were put away in a certain order. - Fixed a bug with cake sometimes not respawning if dropped on floor. - Fixed delay on the bedroom door. - Subtitles are now on by default. - Added throbber icon for loading screens and for the two blacked-out cutscenes. Version 2.1 for itch.io will release at the same time as the Steam version, later in October.